The ionised region DEM L 159 and two clusters with hot stars named KMHK 840 (top left) and KMHK 831 (bottom right). 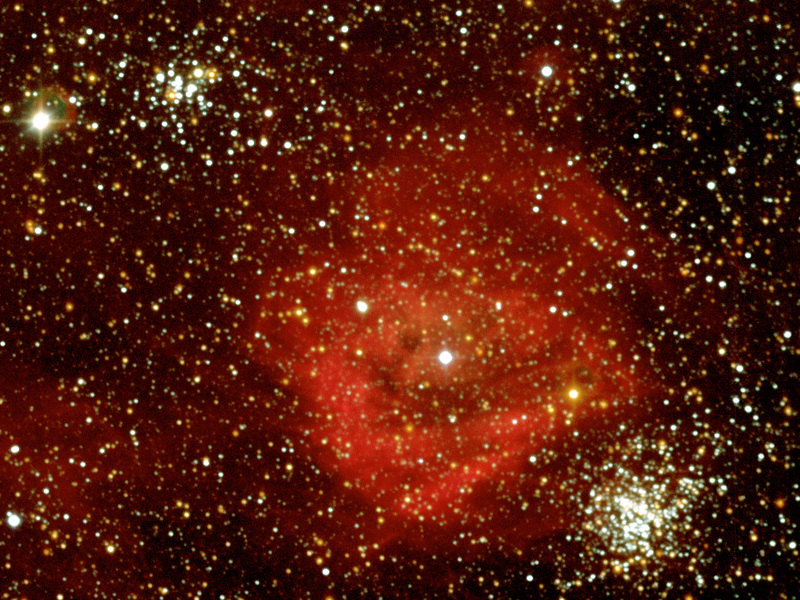 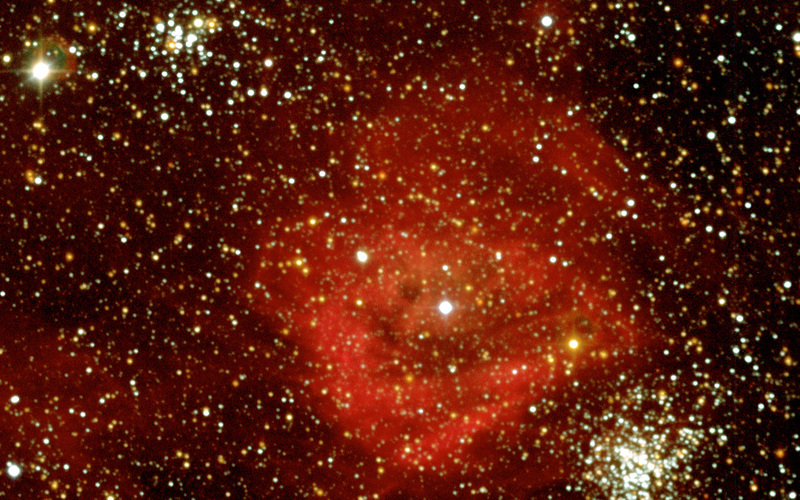 The colours have been enhanced compared to ESO Press Photo eso0332a to clearly show the different shades. Position (Dec): -68° 8' 42.00"